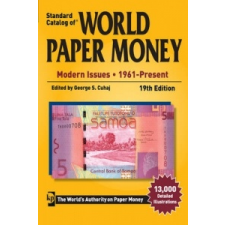 Van véleményed a Standard Catalog of World Paper Money – Modern Issues – 19th Edition – George S Cuhaj termékről? Értékeld! Tedd fel kérdésed a(z) Standard Catalog of World Paper Money – Modern Issues – 19th Edition – George S Cuhaj termékről!